I have a confession to make. Four days ago, a dusk just like this, tawny and still, four hundred million years old and counting: I knew how I would die. The doctors would come and fall into my mouth carrying white roses. Windows would turn to paper and each brown bird of the world would build a nest. Rain would lurch into each desolate crack of each desolate house in each desolate city I had lived and wash all of you, and me, clean, clean. The nurses would come to rub us up for the burial and the songs. Airplanes would shatter the noon sky of winter, summer, spring. Mail would shiver into the wrong slots. People would tear the envelopes and watch as their mouths shimmied away into musical notes. The cats would be smart, though. They would know that now was a time to begin again and they would walk, knowing they might have to walk forever, in order to find people smarter than us. And then you and I would go under, listening as the crying rose, as the trees had no comment, as the finches looked away, as someone coughed, coughed again, and left. Then we would have the slide. After the people and the cats had gone. That fine and purposeful drag. That dark stone covering us, deliberate as any mortal music. Another thing: when I was running in the desert, far from the lit road, I heard all sorts of things. Something like the gnash of teeth to my left, something like the ticking of owl feathers to my right. The picking apart of the world by its very own in the dark. If the stars loosened, the sky would tumble. Danger and beauty everywhere as I bled above my eye, stones from the fall in the wash still falling from my face. I pressed sand against the wound and loved the desert perfectly for trying to tamp the liquid inside of my body. The world seemed clean and perfect and absolute, so much happening all around me that had nothing to do with me: chirp, bleat, tug, whistle. I sat on the ground and laughed. Who was I to this world? Nothing. Just motion, another tinny heartbeat that soon slept and soon left. 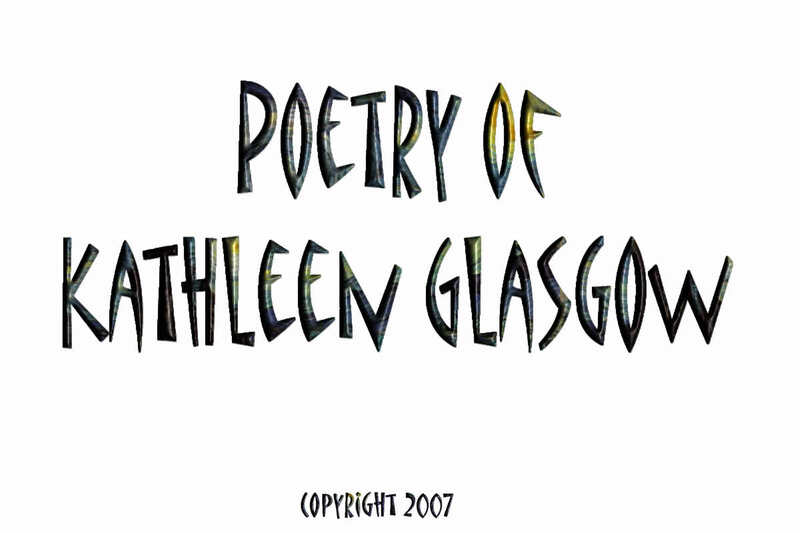 Copyright 2007, Kathleen Glasgow. 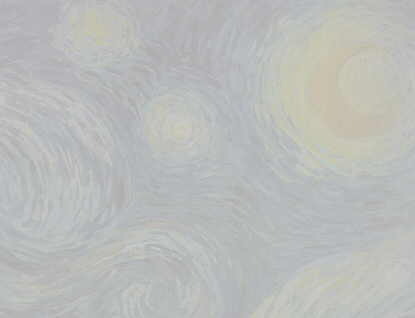 © This work is protected under the U.S. copyright laws.